Changing your career when you are over 40 is a big decision and may seem scary, daunting and misguided. You might think that it is too late and continue waking up each morning only to report to a job you no longer enjoy doing. However, you are just in time to make your life better. You will need to be confident and believe in yourself to succeed. A lot of successful people who made their career change in their 40s. Look at Sam Walton for example; it was not until he reached 44 years that he opened his first Walmart. If you are considering doing the same thing, then you are on the right track. Here are some tips on how you can overcome your fears, what to take into consideration and how to make it happen successfully. What makes the change so difficult? At 40 you have a lot of responsibilities that give you excuses to not make a move. You might be having these questions running through your head which make you end up delaying changing your life. What happens to my bills and a family I have to support given the risks associated with a career change? Can I just abandon the good work relationships and friendships I have attained over the years? What if I do not like the new career as much as I thought and end up being miserable? What if the career change requires additional expenses, such as going back to college to get another degree? Can I afford this expense? Do not let these worries dictate your next step. These thoughts only make you remain stuck in your current position doing something that you do not enjoy. It is normal for you to feel that taking this move is overwhelming and affecting your life and relationships. But, it is more stressful to be in the wrong career. Do not be discouraged. Rise and find a way to do it in a manner that will not jeopardize your current life. If you need to take some time off to prepare for the new career or you have to continue working while getting ready for the new job, then do it! You must ensure your thoughts are settled and focused in the direction of making your life better. In your 40s, you know everything there is to know about your position and your company. You have acquired a lot of skills and attained titles within your company over the years. Holding on to these keeps you in a comfort zone with no possibility of growth. You should use the gained skills as stepping stones and strengths that will enable you to succeed in your new pursuit. Think about women who often drastically change their career path after the birth of children. And based on the skills and desires obtain new profession without regret. Staying in a comfort zone you will not grow. You are focusing on the effects your career change will have but never stop to think the impact doing something that you don’t enjoy will have on your health and relationships. Discontentment is a cause of depression and anxiety. Take a leap of faith and learn what is truly possible out there by risking the change. Taking control – The decision to make a career change must be solely yours. This portrays confidence and ambition which is a signature you will require while impressing your new employers or investors. Be keen on signals – When you start feeling disinterested in your current job start appearing, act fast. Don’t wait until it reaches an unhealthy stage, and having to change becomes forced. Step outside and find your value in the wider world – Staying in one career for long makes you feel that your value is limited to that organization. Step outside and establish your overall value in other fields. Fear of the unknown – Expect to face a new environment, new people or new problems. But you will be surprised to learn that you are courageous enough to make it in this new world. Take some time to figure out what you want and do something that genuinely interests you and contributes positively to your growth. Engage in an activity that you are passionate about. Use the skills and network you have gained over the years and translate them into your new career. Find moral support from your loved ones or enrol yourself into a professional mentoring group. This will help you gain the energy you need in this midlife career change, and also you might learn valuable information for your new career. Talk about your business with people and depending on what you are doing next, consider offering pro bono services or free products for people to experience what you can do. Who knows, they might like it and become your customers or clients. Finally, take baby-steps. Set goals and SMART objectives for your new career so that you can monitor your progress. You can even consider taking classes to enhance your skillset and attain the necessary motivation to keep moving. Making a career transition at 40 will feel scary but it is a good thing, and you owe it to yourself. Learn how to deal with anxiety that you might experience by accepting that there is no guarantee in anything. Some days will be good, and others will be messy. What matters is that you clean the mess, keep moving and learn how to enjoy the process of your career change. Now you have it! 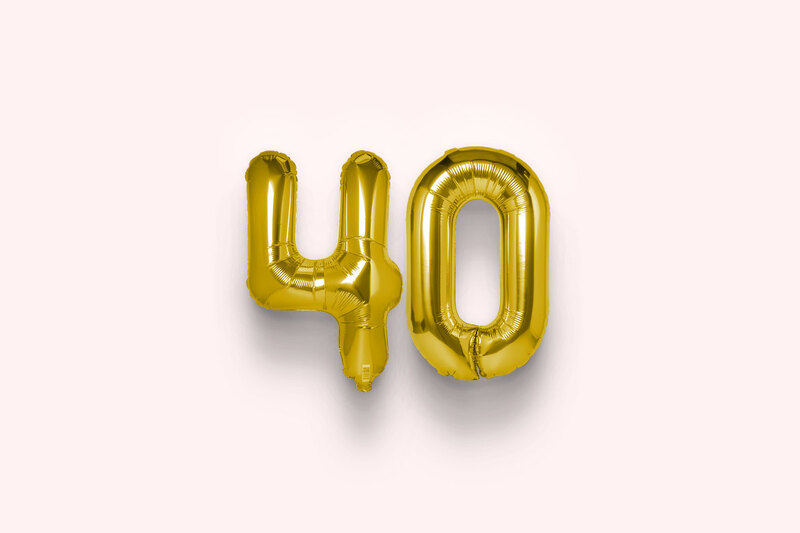 Whatever your reason for making a career change at 40, it’s not too late yet. It’s a risk worth taking! Professional writer by choice and health savvy by habit. Contributor at Smartpillwiki. A strong believer in the power of positive thinking, regularly develop internal wellness campaigns with effective mental health techniques.